The artistic practice of Nahosenay Negussie represents the actual exploration of the space where myths and dreams collide. The imaginary worlds on his paintings of almost godly features are idealized representations of joy and serenity. 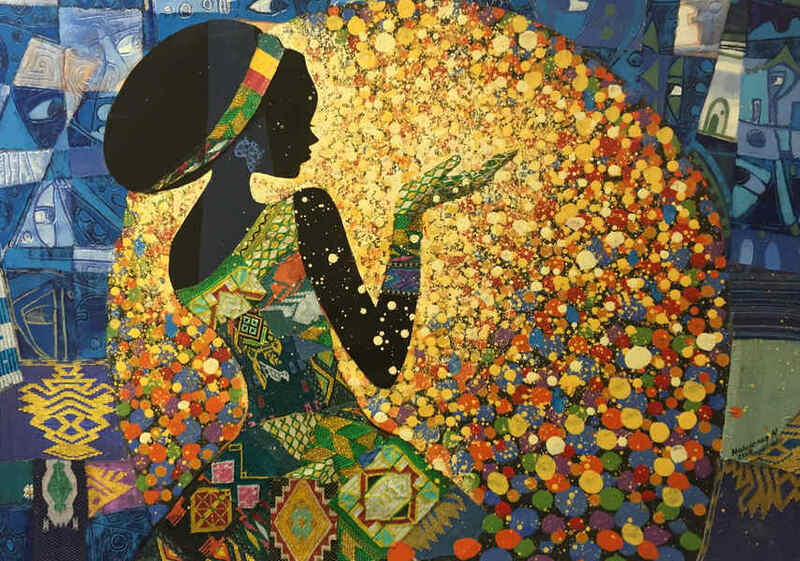 Negussie’s use of bright colors and rich decoration undermines additionally the artist need to create images for contemplation and relaxation. Nevertheless, his works can be read as sarcastic commentaries in accordance to the vast problems of contemporary society and a portal to utopia. 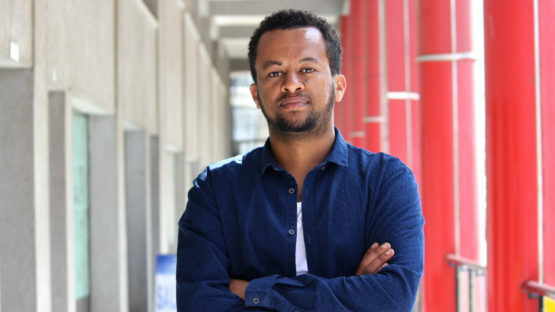 Nahosenay Negussie is born in 1987 in Addis Ababa. He finished BA in Graphic design in 2013 at Alle School of Fine Arts and Design. With the reception of the Japan Fellowship in 2012 his career started to develop quickly and in the same year, he became one of the founding members of Moged Fine Art Studio. 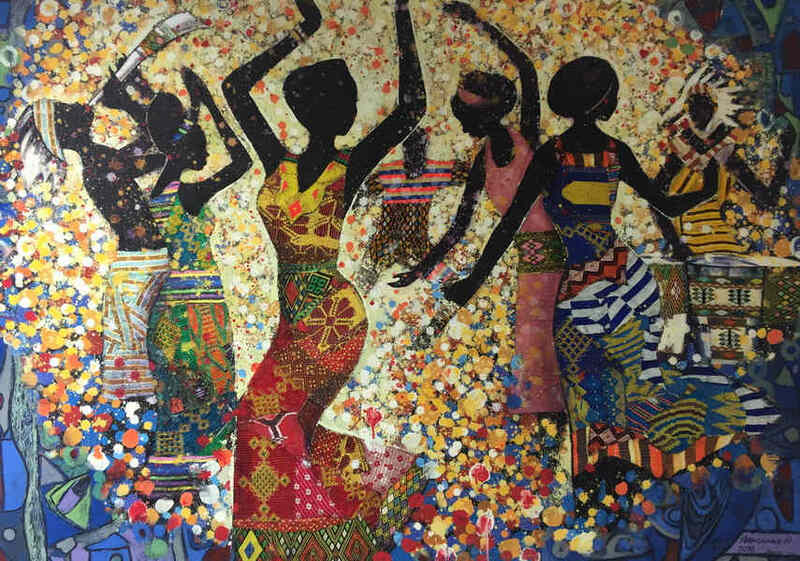 he participated in different artistic activities, workshops, charity programs and showed more than eight group exhibitions which include the national museum, UNECA, Radisson Blue Hotel, Alliance Ethio-Francis, etc. 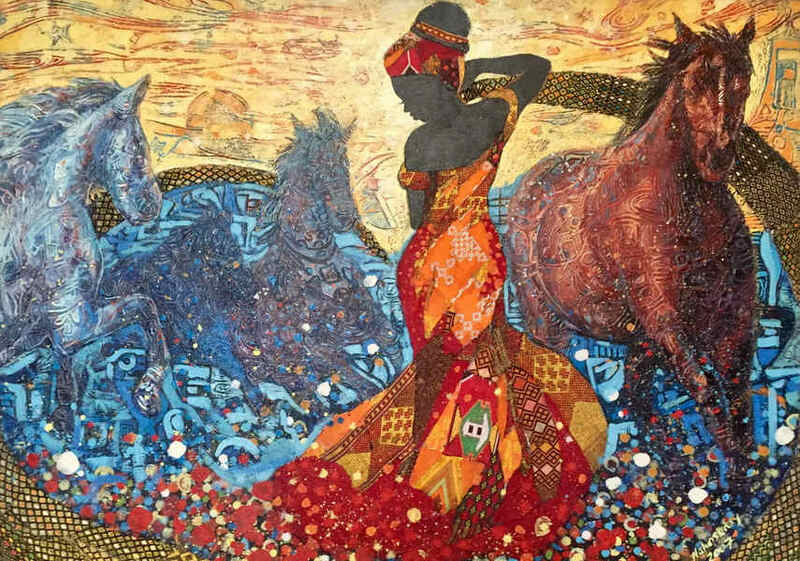 Negussie worked on several high-profile fine art projects, including a large-scale mural art located at the main building entrance of Ethiopian foreign affairs office and Jupiter international hotel and some of his works can be found in public and private art collectors both in Ethiopia and abroad. Constituting the style of painterly practice in contemporary moment is rather difficult to manage, yet by emphasizing color, texture, and contrast in regards to the art rather abstract form Nahosenay Negussie manages to keep up with new tendencies. The artist is prone to experimentation and enjoys combining different mediums. He carefully chooses motifs which symbolize, express or honor the rhythms, seasons and cycles of nature. Those are traditional ornaments which are in the represented in the form of a backdrop, costumes or other additional elements of the composition. Very often Negussie suggests the importance of the energy which connects us within space and time to each other, the planet and produces some form of particular order. The artist is interested in making a communication with the observers by evoking their emotional state with the subtle and beautiful compositions. 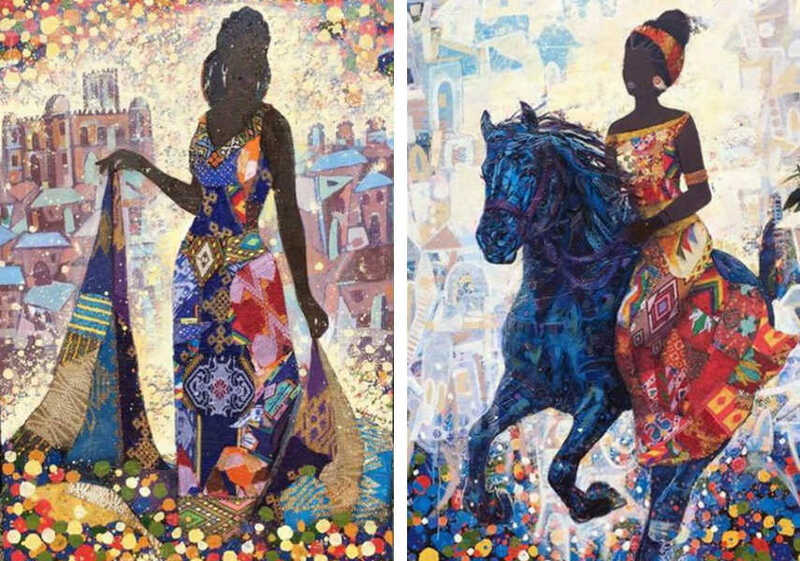 That is somehow connected to the artist’s apparent fascination which is reminiscent of Secession, especially the works of Gustav Klimt. The inspiration Negussie finds in nature and the ancient traditions celebrating the mystery of life. By looking at the sun, plants, and animals in all of their glory, he excites, energizes and paints directly from life. The artistic pursuit of Nahosenay Negussie is based on a production of decorative objects. Nevertheless, from the conceptual standpoint his works are related to wider sociological and historical dimensions. Enriched by the references to traditional crafts and western influences, his works embody the finest of both in delicate and peculiar manner. Negussie’s talent has been noted quickly and growing interest in his work is an effect of the artist’s ongoing exhibition activity and several commissions. Nahosenay Negussie lives and works in Addis Ababa.